St. Mary offers opportunities for exploring your faith and strengthening your relationship with God. Please join us for Monday Mega Prayer! We start with Evening Prayer at 6:30pm, then Adoration and Confessions are from 7-8pm. Join us second semester - please sign up here if you are not already plugged into a group! Monday evenings 7-8pm - Encounter Christ in the Scriptures as we discuss the Scriptures and apply it to our own life experiences! This is led by students for students! Join us each week in our Student Lounge (entrance is located behind the church). Bible Study will begin on Monday, February 4th! Join the CCMB Liturgy Team for a half hour of Prayer and Adoration each Monday at 6:30pm in the church. 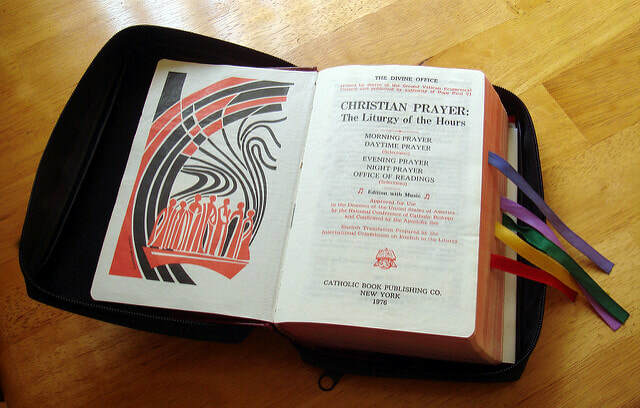 We will pray from the Liturgy of the Hours, the daily prayer of the Church. ​Engage in weekly faith-filled conversations while discussing the realities of daily life! Join a small faith community (8-12 students) led by college students. Groups will meet once per week (day, time and location determined by each group) beginning the week of February 3rd. Click HERE to register!